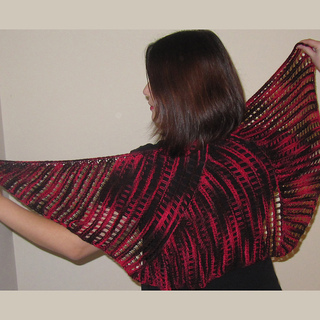 Esmeralda is a romantic and rebellious shawl that is the perfect accessory for your next soiree. 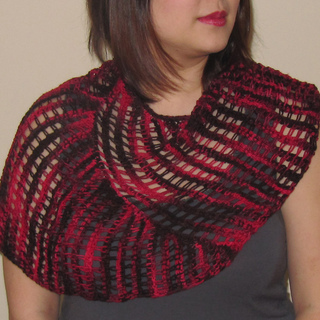 Tunisian Simple Stitch and yarn overs combine to make an alluring stitch pattern that is a snap to Tunisian crochet. 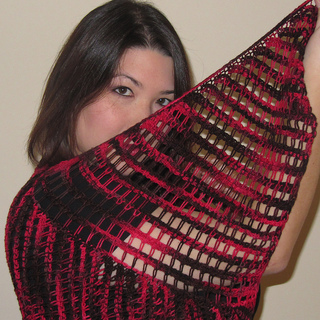 The shawl is worked as 3 consecutive wedges - an interesting construction, providing added visual appeal, with no seaming required.